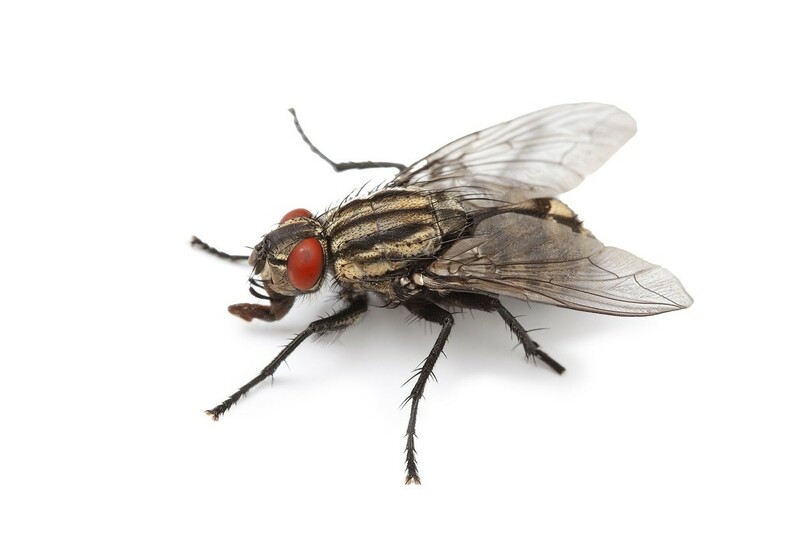 Cluster flies closely resemble house flies and are easy to mistake one for the other. Their behavior is quite different, however, and this difference is usually enough to determine which you have. Cluster flies are parasites of earthworms. Adult females lay their eggs in the soil. When the larva hatch, they seek earthworms as their food. The larva burrow into the worm and feed on it for up to a month. Once it gets its fill, it leaves the worm to pupate. It does so in about two weeks and then emerges as an adult which feeds on shrubs and flowers. It is prevalent throughout the entire United States and will be able to complete up to 8 generations in any season. Cluster flies are a nuisance because they live a long time. In fact, most other flies live less than three months. Cluster flies, however, can live for two years or more. To endure the harsh winter, they will hibernate. This is what causes conflict with man. Cluster flies grow in the ground. Female flies lay eggs in the soil which hatch larvae that seek earthworms. Using the worm as a host, the larvae will feed inside the worm. This will not affect the worm. After it gets its fill, the larvae leave the worm and pupate in the soil to emerge as the adult fly. Over the course of the summer, this pattern will play out. Females mating, laying eggs in the soil, feeding on worms as larvae, pupating in the ground to adults and then leaving to seek a mate. In the fall, Cluster flies will migrate into the siding of homes and other buildings. There they stay until warm weather and spring. Homes which attract cluster flies seem to attract more each year. This happens because once a home is “marked” as a good location on which to hibernate, pheromones will be left on the home signaling to other flies to come and nest here too. 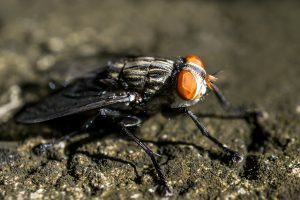 The first few years of having the flies stay all winter go undetected but at some point their population will start to find their way inside and once that happens, it can be an ongoing problem for many years if left untreated. Cluster flies will migrate inside seeking heat. And in the spring, it can happen more by mistake. It is not uncommon for some of them to mistake a warm winter day as spring. Once they awake they will move to where it is warm. This may turn out to be inside your home. They crawl out around molding and vents, warm up and become an instant pest. Most people are at a loss when trying to understand where they came from and will spend a lot of time and effort trying to control them. Once identified, there is a way to get control. Cluster flies can be hard to control but there are options. You will need to do several things to break their cycle and stop them from living in your home. 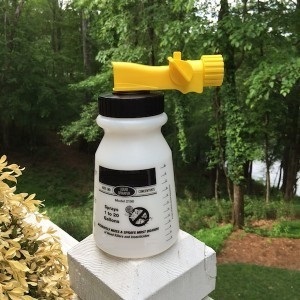 On the outside of the home, spray with CYPERMETHRIN. to keep them off the structure. Cypermethrin is fast acting and very repellent to most any invading pest so treated surfaces will repel all insects including this fly. Mix 1 oz per gallon of water and spray all the siding up to the gutters. Use 1 gallon of mixed product per 500-800 sq/ft and renew as needed; once a month will usually be enough to keep them off the home. For longer protection, use ONSLAUGHT. This product is microencapsulated which means treatments can last 60 days so less spraying will be required. 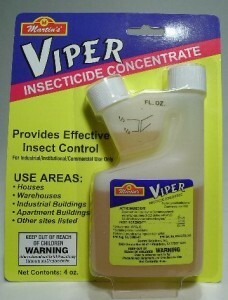 Mix 1 oz per gallon of water and like the Cypermethrin, expect to get 500-800 sq/ft of coverage per gallon. 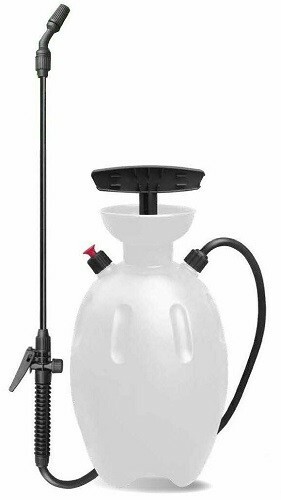 Apply either product using a good PUMP SPRAYER but you can also use a HOSE END SPRAYER which can be handy since it can reach much higher. The hose end sprayer can be easier for large, tall homes and can generally get the job done much faster too. On the homes siding, in the attic and deep in the wall voids where cluster flies like to nest should be dusted with DRIONE DUST. Using a CRUSADER, you can puff small amounts up under the exterior siding, into any cracks or crevice common to log homes and into all crevices they might choose to use for hibernating. Drione is long lasting meaning it can provide 6-12 months of protection. More important is that Drione will effectively absorb and remove the long lasting pheromone smell which is the reason they keep coming back. Drione is highly repellent to any insect so where applied, nothing can live or nest. Drione goes a long way. 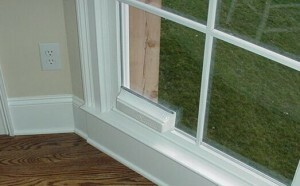 1 lb will cover 1500-2000 sq/ft of wall space or under exterior siding. Renew once a year to ensure long term control. Use this duster to apply the Drione. It only takes 2-3 squirts every 3-4 feet and as you treat, watch how far the dust floats to ensure you’re getting adequate coverage. In attics, use a DUSTIN MIZER to blow the dust out. Again, use 1 lb for every 1500-2000 sq/ft. In protected areas like attics, treatments can last at least 12 months. 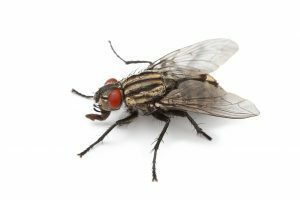 During the winter, cluster flies can become a real problem as they migrate into living spaces. To help manage the problem, spray around the window frame with PHANTOM AEROSOL. This non-repellent spray should be lightly applied so the surfaces don’t get “wet”. Once in place, flies will move over the treatment not knowing they are picking up a lethal dose of chemical which will end up killing them in 2-3 days. 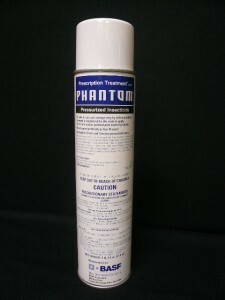 Renew the Phantom every 3 weeks when flies are active. Another option is to install AEROSOL MACHINES equipped with CLEAR ZONE REFILLS. These machines run on batteries and can cover up to 400 sq/ft per machine. Once powered on and filled with a can of Clear Zone, they’ll work around the clock by releasing a small 1/2 second blast of pyrethrin based spray strong enough to control any flying pests like mosquitoes, gnats, flies, moths and more. Set up machines close to any window where cluster flies are active and they’ll quickly die. Fit each machine with a can of CLEAR ZONE. This spray is safe enough to be deployed in any room including kitchens and bedrooms. Cans will generally last 30 days when set to release every 15 minutes. Of all the options for controlling active flies inside the home, POWDER TRAPS are probably the easiest to use. The use a dehydrating powder, just like the Drione, to kill flies which enter. Once inside the trap, they cannot escape their plight and their presence inside the holding zone will attract more flies as they detect the odor (which people cannot detect). Traps typically last 3-6 months but if they get full in 2-3 months, be sure to replace them. Conversely, replace them after one year even if they are only half full. Yes and no. Some of the products listed above we ship to Canada; others might be prohibited. To learn if its restricted or not, just click the “more info” link for anything you’re interested in getting. Once on our product page in our cart, you can look for the “international customers order here” button. If you see that option/link/button showing, it generally means you can get that item direct from us. They haven’t got in our house yet, but we have loads of them on the lawn this spring. Is there something we can spray on the lawn to get rid of them? Use the Cypermethrin listed above. Add 1 oz to our hose end sprayer and fill the sprayer up to the 5 gallon line. Using your garden hose, you can then spray the entire amount over 5,000 sq/ft. I have a dog and a guinea pig, are your products safe for inside house pets? The generall rule is to th ekeep th epets out of the treated area when doing the work but onnce dry, they can come back without unuusualy hazard being present.